Art therapy has been used to assist a number of different types of people, including (but not limited to) the elderly, children, prisoners, war veterans, people with physical disabilities, and those with mental disabilities as well. The reach of art therapy has extended far past its original implications. Every kind of creative process, from charcoal on canvas to working with clay, offers a number of benefits for the mind, one's emotional wellness, and the body. 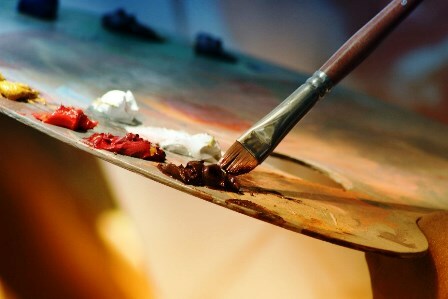 The first application of art therapy was developed for the purpose of psychiatric therapy and evaluation by Margaret Naumburg and Edith Kramer. They used their patient’s free-style art to gain insight to their feelings, in order to help them understand those feelings and the effects they have in life. This is still a vital part of therapy, but in addition to the contents of the finished creative product, emphasis is also placed on the process of creation itself. There is no required level of experience; it doesn’t matter if the person is new and just beginning to draw, or a professional in a different medium. Regardless, the creative process places the individual in a more calm and receptive state of mind, with helps them to identify their feelings. This makes for an extremely effective means of communicating suppressed or subconscious feelings, which allows for confronting those feelings and beginning to heal from them. This is particularly useful in restoring mental well-being after a form of trauma. Participating in art-making can also help reduce stress, anxiety, and depression, as well as boost self-confidence and self-awareness. As with many ailments, a mental issue can cause physical trouble, and vice versa. This is why total-body wellness should employ the use of a variety of mind-body treatments, like art therapy. This form of therapy not only aids the health of the mind, but this stems to the body as well, and works synergistically. This is because engaging in artistic expression releases feel-good chemicals in the brain that have both mental and physical reactions. A reduction of pain, stimulated mental function in those with dementia and other cognitive disorders like Alzheimer’s, and a reduction in blood pressure are just a few of the physical benefits of art-based therapy documented thus far. There are even studies and programs incorporating art therapy for those with visual impairments. An overall improvement in happiness and quality of life has also been found in both children and adults suffering from debilitating, life-long illness and terminal illness like cancer. A positive state of health and well-being includes an integration of physical, mental, social, emotional, and environmental aspects. This same combination needs to be maintained when approaching treatment options; a neglected mind will neglect the body, and a neglected body will overlook the mind. Create a harmony in therapies, however, and you’ll find harmony for the body’s entirety.